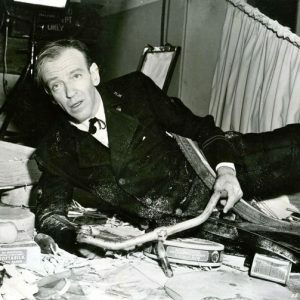 Fred Astaire rides a handlebar. And a tire. And a mess of flour. 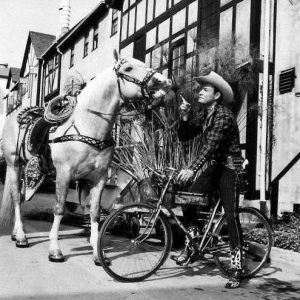 Roy Rogers rides a bike. 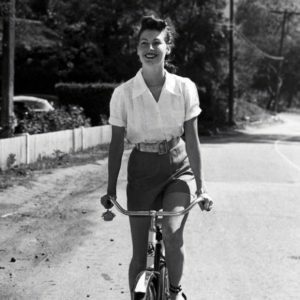 Ava Gardner rides a bike.